Product prices and availability are accurate as of 2019-04-14 14:49:41 UTC and are subject to change. Any price and availability information displayed on http://www.amazon.com/ at the time of purchase will apply to the purchase of this product. Now you can easily punch out perfect shapes with EK Tools' Natural Woven Punch Material Pack. Our material is just the right thickness to easily insert into any of our large, classic, medium or mini size craft punches. Natural looking materials are a popular craft element and add texture and earthy dimension to so many projects. 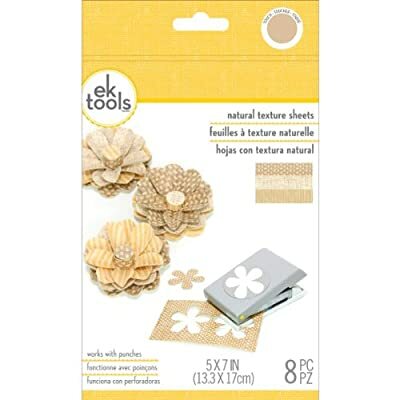 Perfect for making small signs, jewelry, banners, tags, flowers, labels, frames, embellishments and many other crafts.